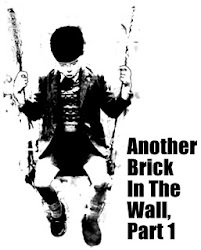 Another Brick in the Wall: With Sabah safe in the bank, can Mahathir topple Najib? KIMANIS: Foreign Minister Datuk Seri Anifah Aman (pic) said he will leave Umno immediately if the Prime Minister fails to fulfil his promise to restore Sabah's rights as specified in the Malaysia Agreement 1963 (MA63) that had been inadvertently taken away or eroded under successive Prime Ministers. "I will not even wait for a day to stay in Umno and I will resign from my ministerial post if the Prime Minister breaks his promise. "This will be the answer to those who ask what I will do if the Prime Minister did not keep his promise," he said after officiating an entrepreneurship carnival at SK Kimanis, Saturday. 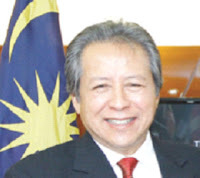 Nonetheless, Anifah said he has confidence in the Prime Minister and believes Datuk Seri Najib Razak is a man of his word who would honour the promises. He said he is saying this being among one of those closest to the Prime Minister. Therefore, he said, it is important for the people to continue giving solid support to Najib's leadership and the Barisan Nasional (BN). Anifah who is also Kimanis MP said such initiative to claim for Sabah rights in the MA63 had long been championed since 2015 including through the MYSabah Group which has shown positive results. "I did ask several Sabah leaders together with me to forward the claim of Sabah special rights (in the MA63) to the Government. Unfortunately, none of them were willing to be in the forefront to do so. "Therefore, I discussed with those who sincerely wanted to fight for Sabah rights (in the MA63) and together we submitted a memorandum to the Prime Minister. "I thank the Prime Minister as he did say to me that he will return Sabah's rights that were taken inadvertently and has not been implemented. Hence, I believe in him, that he will materialise his promise," he said. Najib had mentioned about returning Sabah's rights during last year's Malaysia Day celebrations in Sabah and Sarawak as well as in the recent Umno General Assembly in December last year. On whether Sabah would get similar rights like what Sarawak been given on oil and gas, Anifah said Sabah would get what Sarawak had been given recently but that Sabah had a stipulated advantage (in MA63 and Federal Constitution) of getting back the 40 per cent entitlement from Sabah's revenue which Sarawak did not have. It was understood that this was due to insistence by the Sabah side in the run-up to the signing of the Malaysia Agreement. Anifah said Sabah would continue to adopt diplomacy, discussion, dialogue and consultation in its struggle to claim for Sabah rights rather than going for confrontational. "Through amicable discussion and two-way communication which run smoothly, I believe soon the Prime Minister will make an important announcement," he said. 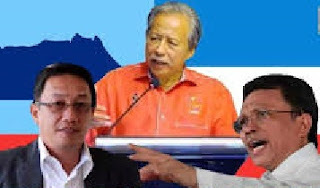 Hence, Anifah said the people should not depend on the opposition to voice out their needs and grouses as the BN leaders can do a better job in serving their aspirations and interests. From the report, it is not Anifah threatening the PM. Anifah would not be disrespectful and act improperly as a cabinet Minister towards his boss. PM made a strong statement that Federal government will not only review the Malaysia Agreement 1963, but return back what was mistakenly taken. It cannot be more committed than that. According Anifah, there is some "good news" coming up soon. Warisan tried to dismiss Anifah's attention grabbing statement by picking on his position in government. Surely Terrence Siambun is not a newbie in politics but trying to retain after a recent Warisan attempt to attack Anifah's "Sabah tulen" statement as racist and anti-Suluk turned turtle. Vice President of Warisan, Dato Peter Anthony was caught at several ceramah making disparaging remarks of other races in his effort to "up" the Bajau Laut race of Dato Shafie Apdal. Raimi Unggi express his support of Anifah's statement and confidence of Dato Najib honouring his words. He cited Sarawak's recent launching of Petros as indication that the "good news" is inevitable. Sabah is looking forward to receive their entitled 40% of Sabah generated revenue as enshrined in the Federal Constitution. If it goes through, it is expected to be landslide win for BN in Sabah and also Sarawak. Most Semenanjung voters are not aware of the relevance of Sabah and Sarawak for the general election. Without these two block of seats, the chances of toppling BN by "Pakatan DAP" will be of low probability. Despite their perceived confidence, they only have fake and manipulated surveys meant to create a false sense of confidence to back their hunch and focus on emotional play. Unlike "Pakatan DAP", BN campaign operations come with statistics and numbers. The white BN seats will generally remain BN and white "Pakatan DAP" seats remain "Pakatan DAP" with some vote swing in UMNO seats from troublemaker PPBM. DAP seats generally solid with threat of #Undirosak protest and Malay seats more challenging and few seats can be surprises. Can it be strong enough to turn into a majority for "Pakatan DAP"? Do PPBM with expected 55 tough UMNO seats to contest have the local leadership to offer as candidate other than hijacking has-beens from UMNO? Will the third leg with a strong supporter base in PAS reduced in relevence in a three way fight? If it is really 50:50 situation for BN in Semenanjung, then Sabah and Sarawak will bring the win for BN at federal level. Inside sources within "Pakatan DAP" claimed they do not expect to win but only interested to takeover few states such as Perak for DAP and Kedah for PPBM. UMNO is quietly interested to retake Selangor. What vote turning strategy do they have? Much has been talked about of sabotage from within UMNO. There is also talk that DAP and PAN together with certain faction within PKR will sabotage PPBM. They are seen as UMNO and likely to turnaround to return to UMNO. Winning and losing election is about numbers. Without Sabah and Sarawak, it need several tsunamis to make it happen for "Pakatan DAP". They think it favours them and public sentiment is overwhelmingly against UMNO. It could happen should some power hungry and credit crazy character shoot their own feet. It is not a remote possibility. However, PPBM is facing the prospect of being suspended for clear breach of ROS rules. Will PPBM supporters stay with PPBM should their candidates run under PKR, PAN or even DAP logos? At the same time, Tun Dr Mahathir wants "Pakatan DAP" to run under a common logo. His heart is set on toppling Najib using a new version of BN as platform. It means DAP and PKR with established logos will have to compromise their logo. One could likely hear some elder Chinese complaining, "Apa sutah jadi sama loket?" What if, upon dissolution of Parliament, the DoJ proceed with its criminal proceeding related to 1MDB's heist and directly named Najib as MO1? By then, Najib is lame-duck PM and no longer holds political immunity. Who knows... they're just waiting for Najib to dissolve Parliament. Jho Low too, could have discussed terms with DoJ for partial immunity, hence get off with lesser penalty. As prosecution witness, he might be entitled to keep a small portion of the loot. So Najib wins, then what? Will we also get to the bottom of 1MDB ( or will it be fondly known as Satu Malaysia Dah Bankrap, according my Pak haji) and get the rakyat's money back from whoever swallowed it? I hope so. Sad news is that Toh Puan Rosmah's offis in Parlimen is tutup, I heard.